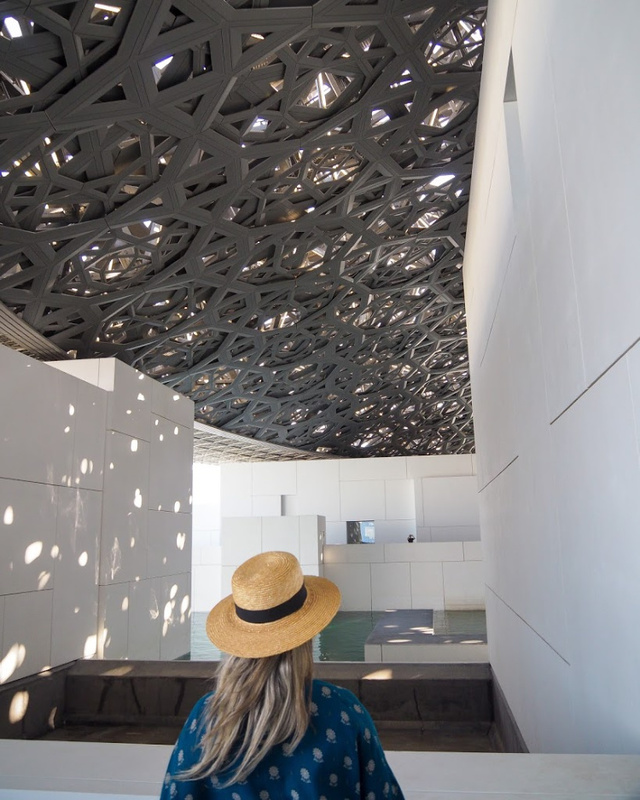 Before you even step foot into The Louvre in Abu Dhabi … before you have even seen any of the incredible artworks and exhibits … the architecture and sheer presence of the building itself takes your breath away! 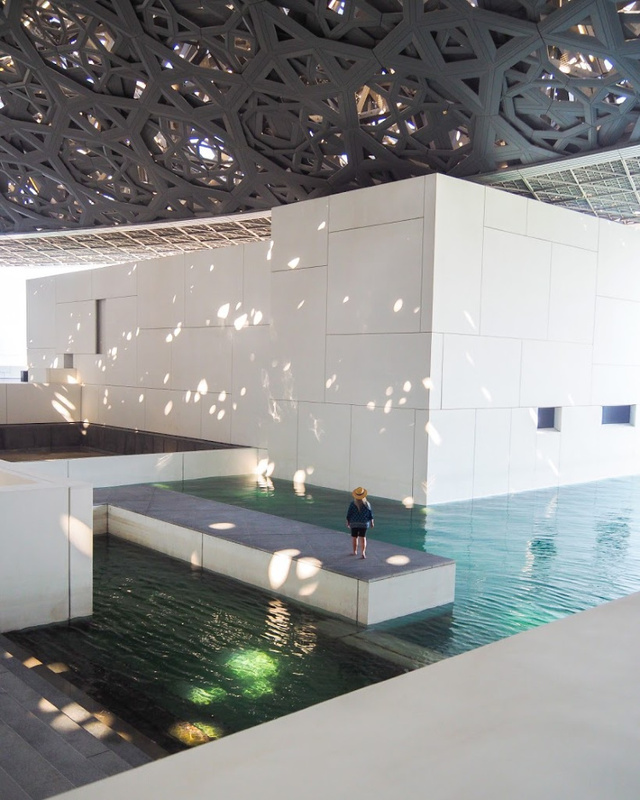 Turquoise water with an array of low, white, box like rooms that seem to be floating on it – it is an intriguing start to your visit and so beautiful too. 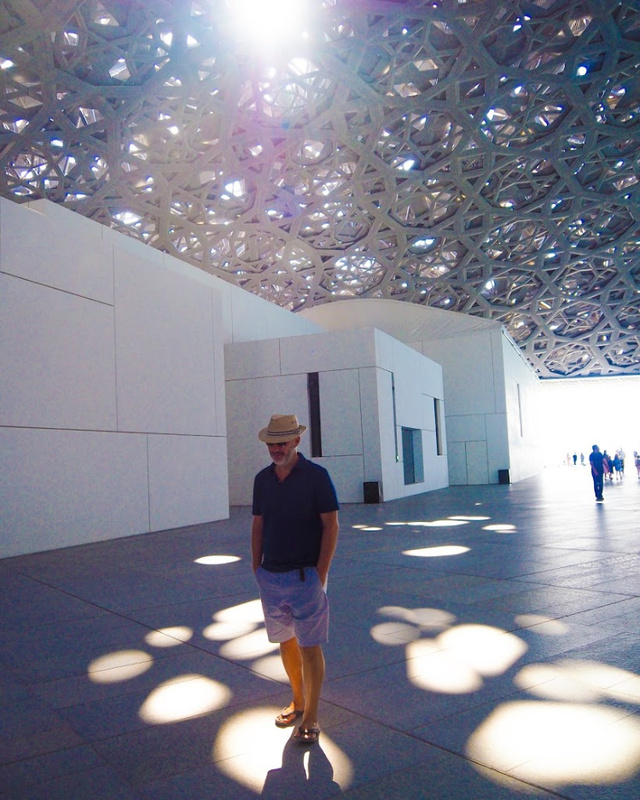 Then the curiosity soars as you take in the vast and intricately metal meshed dome that looms and stretches over the buildings! You just can’t wait to see inside and stand under that domed roof to see what it is like ? It truly does not disappoint! Sprawling wide open spaces, gorgeous dappled light falling through the gaps in the overhead metal masterpiece, a breeze rippling through the spaces as some sides are totally open to the elements … needless to say it is unlike any other art gallery / museum experience as well as being quite extraordinary! 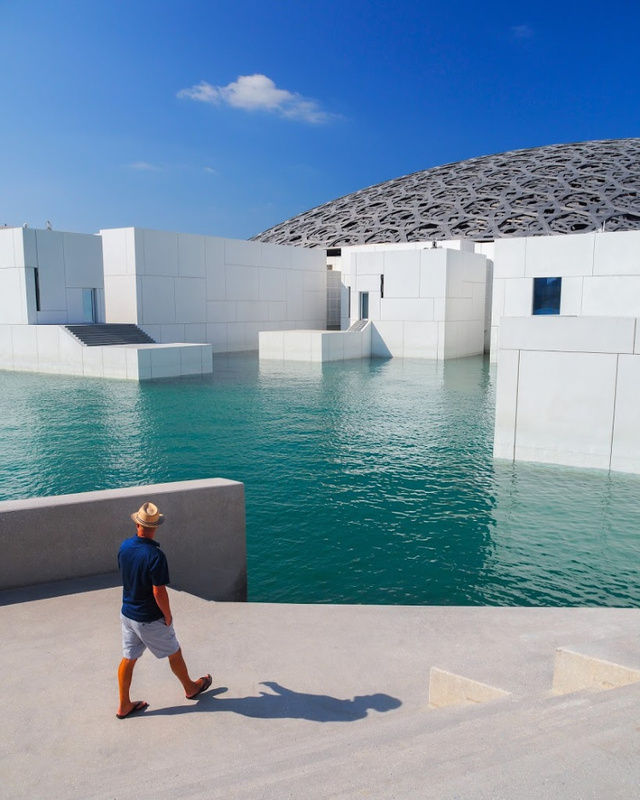 The white boxes hold the interesting exhibits and flow seamlessly into each other which makes for a very easy and calming stroll around the artworks. 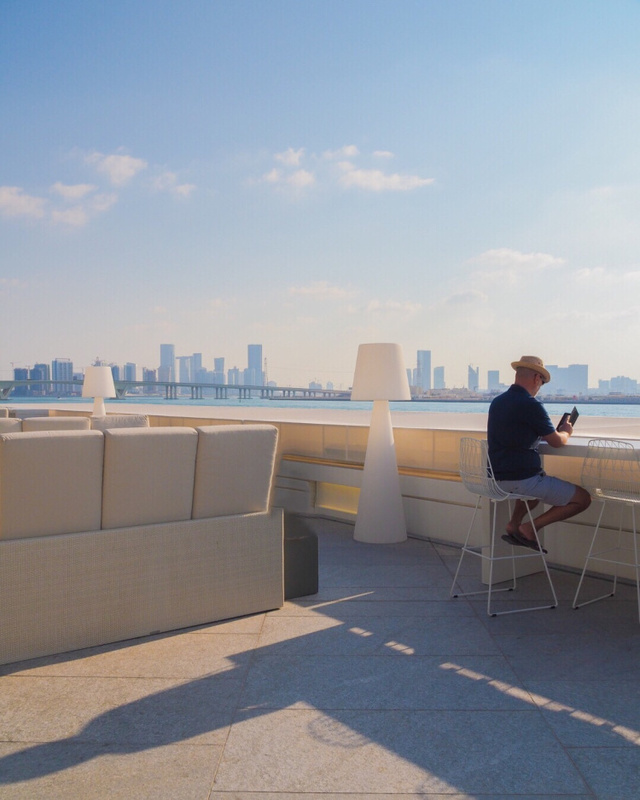 But for us it really was all about the architecture and experiencing this amazing space which continued up onto the rooftop terrace bar and it’s stunning views back over to the city! It is a little out of the way and you’ll need to catch a taxi to get there … you also have to pay to get inside … and the rooftop terrace snacks and drinks weren’t cheap but we thought that the whole visit was well worth it as this place is a unique and memorable experience for sure!